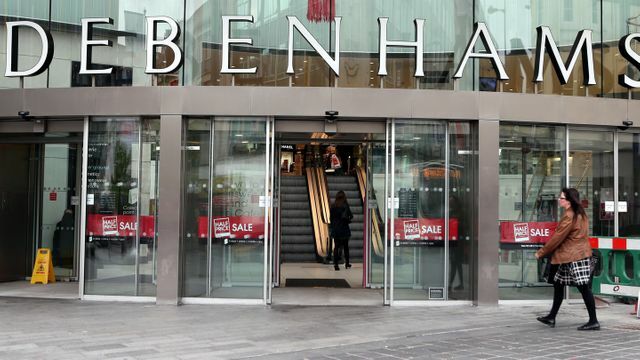 After entering examinership earlier this year Debenhams has applied to the High Court to have at least three of its leases repudiated as the company continues to fight for survival. Debenhams has pinpointed its €36m annual payroll costs and €25m annual rental payments as the key reasons why the company is no longer sustainable. The company believes that its leases, many of which have over 15 years to run and include upward-only rent reviews, substantially exceed current market rates. The rents are now a core issue in the company’s plan of survival as failing a successful renegotiation of rents during the period of examinership the court now has the power to repudiate the leases. But all is not lost for the landlords as leases are guaranteed by Debenhams’ UK parent company, to whom it owes some €46m and who have now withdrawn further financial support to its subsidiary. While the High Court can repudiate the leases, the guarantees by the UK parent cannot be repudiated. It is however now possible that the guarantor can enter into new leases at open market value i.e. the end of crippling upwards only rent reviews. This landmark decision was handed down by the High Court in the 2012 Reox Holdings case in which the landlord argued that the guarantee which was entered into in 2007 pre-dated the Land and Conveyancing Law Reform Act 2009 which prohibits upwards only rent review clauses in leases created on or after 28 February 2010 and therefore did not apply. This was rejected by the High Court which held that the new lease which the landlord called upon the guarantor to enter into should contain a provision that the rent review can be upwards or downwards. We wait to hear the decision of the High Court next week. Landlord right to develop -vs- Tenant right to quiet enjoyment - who wins? Is Ireland ready for another REIT? Build to Rent - the new real estate asset class entering the Irish market!